The three day Executive Leadership course will provide Chiefs and their top command personnel with an understanding of the most modern and up to date behavioral science and leadership theories that enhance human motivation, satisfaction and performance in the achievement of department goals. 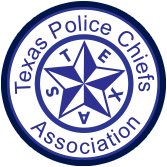 This is a detailed summary of the information presented in the Developing Leaders for Texas Law Enforcement three week course refined for Chiefs and their top commanders only. It will inform Chiefs what they can expect from their department leaders they send to the Developing Leaders course. Chiefs will understand how their leaders are organizing their knowledge and experience into effective leader action and how they are integrating the three week course content into daily leadership practices. If you haven't been to a leadership school recently, or if your department is not performing up to your expectations or experiencing low morale, this course can put you back on track for dealing with those issues. The course covers legitimacy and procedural justice, expectancy and goal setting, recognizing individual differences, group decision making and inter group conflict, transformational leadership, situational leadership, ethical leadership, and shaping and leading organizational change. Invest in your people and your department by taking the time to attend this course. It will make you a better leader and a better boss. People join great organizations, but they leave bad bosses.